What a wonderful day we have had! 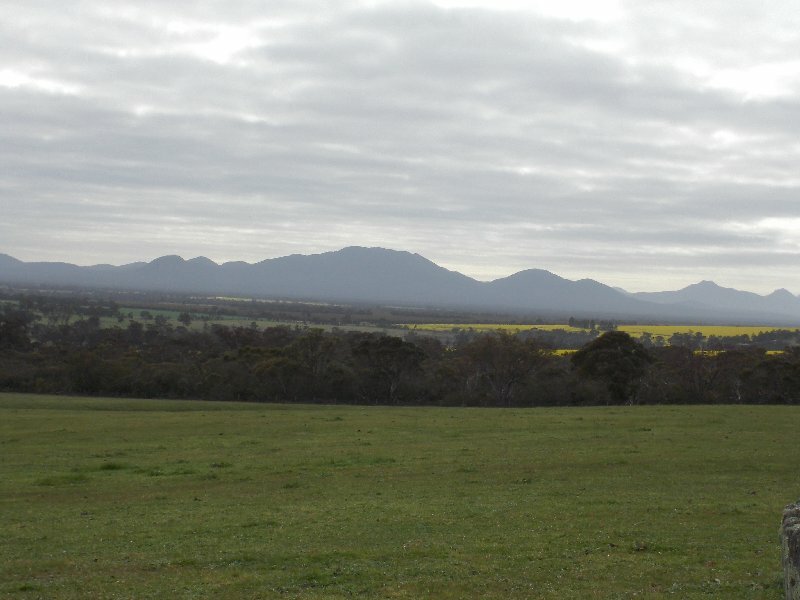 Firstly Robert Fergie took us for a walk across his property taking in the three preserved bush areas. We found many new trees and flowers. What a treasure having natural bush preserved in this way and right at 'your back door'. There were even some early orchids to be found. We were so lucky to have the time to examine the leaves, buds, flowers and fruit of so many new types of eucalypt trees. Heather and Robert certainly proved to be 'perfect' hosts. 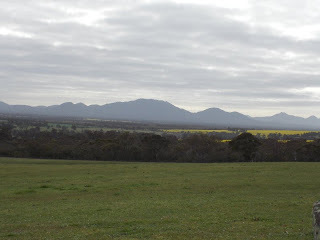 We left Kendenup late morning and headed for the Stirling Ranges. I cannot explain in words the pleasure and peace I felt as we drove through this lovely area. 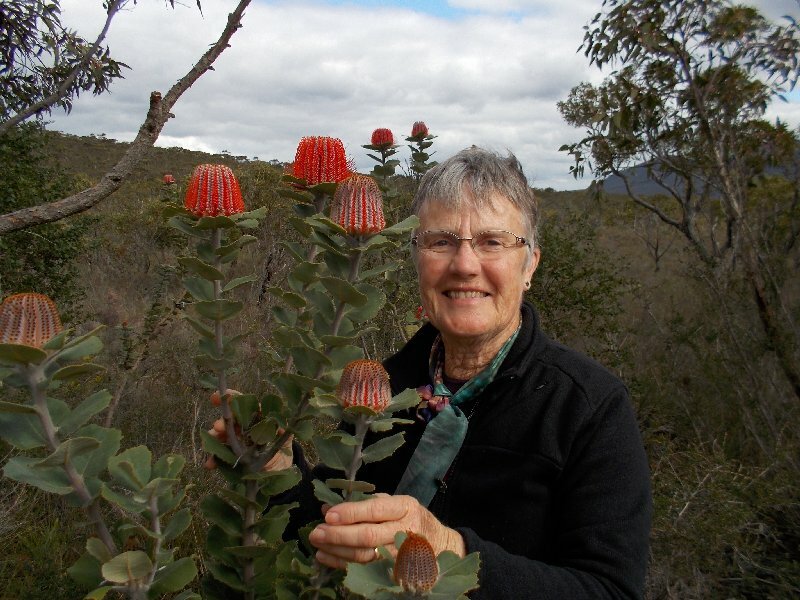 The flowers were wonderful..banksias, hakeas, grevilleas, eucalypts and many,many varieties that were new to me. Despite the weather being cold and windy we walked a little to get closer to all the bush. What a really pleasurable day. Tonight we are camped in the northern area the Nataional Park in the Moingup Spring Camp Ground. We are very glad to have a warm rig to spend the night in.